Varun Dhawan has almost declared about his relationship with his long time girlfriend Natasha Dalal. The industry and his fans are well aware of his relationship with Natasha and that he might son tie the knot with his long time partner in future. A female fan of Varun Dhawan threatened to kill his girlfriend Natasha outside his residence in Mumbai. Two days after the incident a complaint has been filed against the fan recognised as Archana Dange. The police has registered a non-cognisable office against her for allegedly abusing the actor Varun and his family members and threatening to commit suicide outside his residence last week. A case has been registered under section 504 (punishment for intentional insult and with intent to provoke breach of peace) and 506 (punishment for criminal intimidation) of the Indian Penal Code. 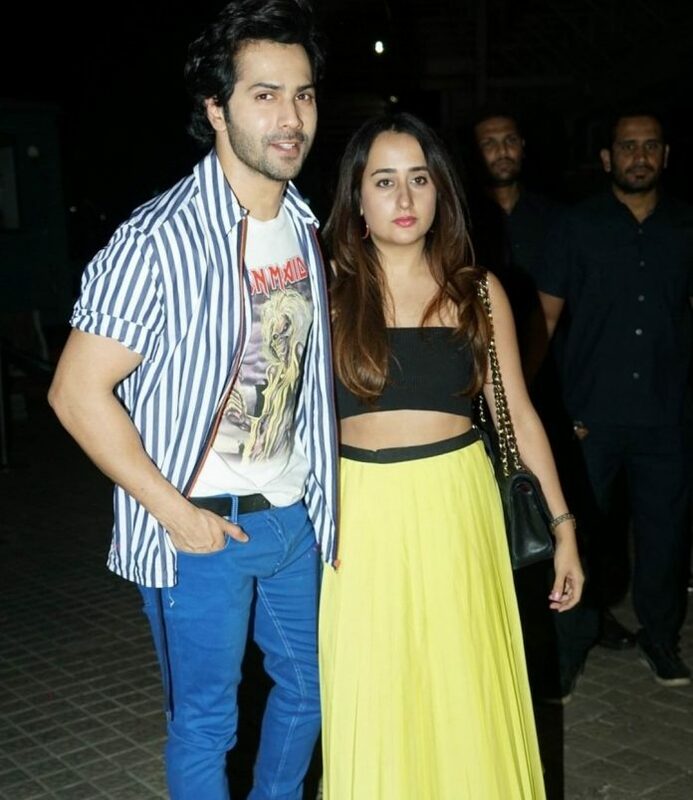 The police officers at the Santacruz Police station said that Dange had went outside Dhawan’s residence at Juhu Tara Road on April 5, 2019 at 9:30 pm and waited for Varun to come home. As soon as Dange saw Varun, she started hurling abuses at him and his family members and also threatened to physically harm the actor’s friend Natasha Dalal. Dange had reportedly also threatened to commit suicide. The fan got aggressive and kept saying, “I will kill Natasha.” When things started going out of hands, the security guards had to call the cops.